The rocky road to romance follows the story of two couples, Chuck and Gail (Chris Brooks and Jess Rubin) who are about to be married and Jay and Bonnie (Chris Pearson and Ashley Ayala) , the best man and maid of honor. In this snappy look at love along with the twists and turns that develop in the two relationships are a unique look at the institution of marriage. How easy is it to remember “perfect wife, perfect life”, but then again what is the perfect life? "Stroppel is a lovely and witty writer. And he knows how to create immensely likable characters.... A fun play indeed." - N.Y. Post. "A rather tasty slice of wedding cake." - Newark Star Ledger. 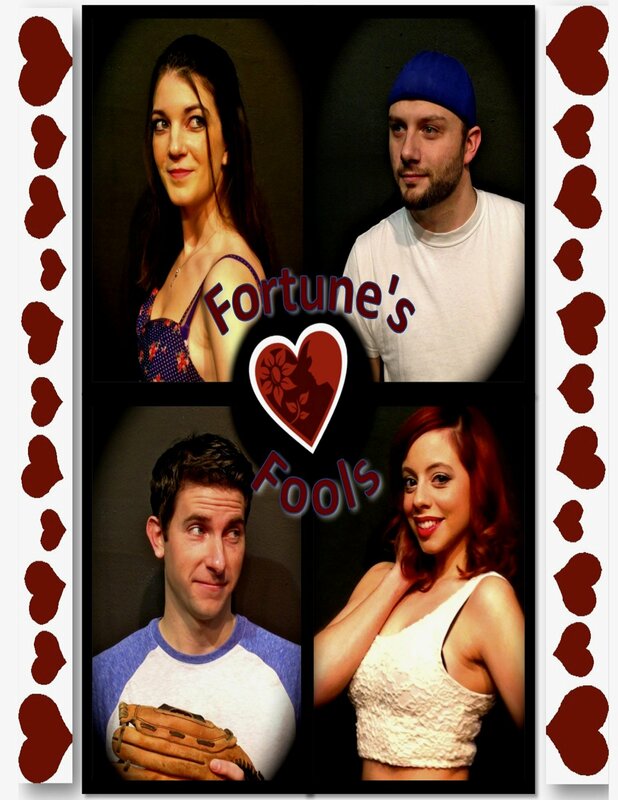 Fortune's Fools runs every Friday and Saturday at 8:00pm from January 23rd thru February 28th 2015. Doors open at 7:15pm.Tickets are now on sale. ALL MAJOR CREDIT CARDS are accepted.To purchase tickets, please call the box office at 860-829-1248. Reservations are recommended. Ticket price $30.00. For more information, visit our website: www.ctcabaret.com The Connecticut Cabaret Theatre is located at 31 Webster Square Road, just off Route 9 (exit 22: Mill Street) and the Berlin Turnpike. Visit the website for detailed directions. The theatre’s motto is “BRING YOUR OWN”. Presented cabaret-style, patrons are welcome to bring whatever they like to eat or drink with them. They also can enjoy a dessert bar that has a variety of treats to purchase.